At least 156 new Taxotere lawsuits have been filed in federal court on behalf of cancer survivors who allegedly experienced permanent hair loss following treatment with the widely-used chemotherapy agent. According to an update issued today by the U.S. Judicial Panel on Multidistrict Litigation (JPML), there are currently 1,272 cases pending in the U.S. District Court, Eastern District of Louisiana, where all federally-filed Taxotere hair loss claims have been centralized for the purpose of coordinated proceedings. The JPML’s previous updated indicated that 1,116 cases had been filed in the litigation as of June 15th. 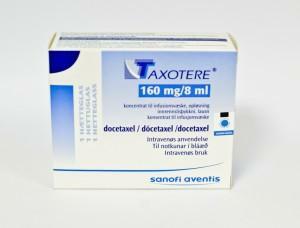 Taxotere is manufactured by Sanofi-Aventis and was approved to treat breast cancer by the U.S. Food & Drug Administration (FDA) in 1996. The chemotherapy drug has since been approved to treat other cancers, including head and neck cancer, gastric cancer, prostate cancer and non-small cell lung cancer. While hair loss commonly occurs during chemotherapy, pla­intiffs pursuing these claims charge that alopecia associated with Taxotere is far more likely to be permanent compared with other, equally effective medications. Mention of permanent alopecia as a possible Taxotere side effect was not included on the drug’s U.S. labeling until December 2015. Plaintiffs cite several studies which allegedly demonstrate that Sanofi was aware of the potential for persistent alopecia years before the label was modified. They also point out that that the European medical community was informed of this risk in 2005, while the Canadian Taxotere label underwent a similar modification in 2012. The federal Taxotere litigation was established in October 2016. Initially, just 33 hair loss claims were transferred to the Eastern District of Louisiana. According to a report from the Louisiana Record, the federal litigation could convene the first Taxotere bellwether trial in September 2018. These “test” trials are common in large, cohttp://www.rxinjuryhelp.com/news/2017/07/17/taxotere-hair-loss-litigation-continues-to-grow-with-1270-lawsuits-pending-in-federal-multidistrict-litigation/mplex litigation, and often involve lawsuits representative of other cases pending in the proceeding. They are intended to gauge the strength of plaintiffs’ claims, and often provide insight into how juries might rule in other lawsuits involving similar questions of facts.